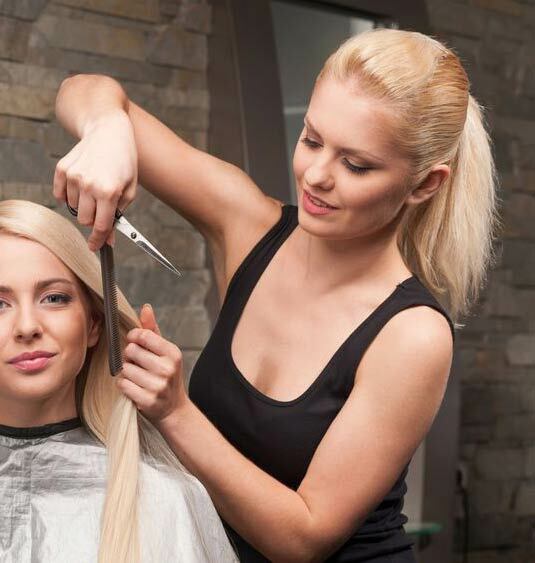 "We believe your hair should look great every day, not just on the day you visit the salon.."
Based in Paignton, David Youll Hair & Beauty is one the leading hair salons in Torbay. By creating this beautiful space in the core of his salon, Davis and Marcus believe that their guests are at the heart of Torbay. He and his stylists strive to make everyone feel a “high-heel moment”: a moment when they feel amazing after having their hair done and consequently, walk taller and more confidently. This is their benchmark for success. Our aim is to enrich peoples lives, Using the high-heel moment bench mark thus making you feel powerful and confident. We just so happen to do this with haircuts and colours, Its our conversation with guests that sets us aside from the rest – to listen, understand then come back with recommendations that will work with your skin tone, face shape but most importantly your lifestyle.